Patent Lawyer: "Samsung Couldn't Tell the Truth if Their Lives Depended On It"
The Apple-Samsung saga has come to a temporary end—Samsung, a jury voted, owes Apple roughly $120 million after finding the company to have infringed on patents relating to the iPhone. The decision put an end to a long-lasting battle that once saw Steve Jobs declare "thermonuclear war" on Android and its underlings. Samsung, after releasing its Galaxy S in 2010, was Apple's prime target. The journey and politics that leads up to last week's decision, as excruciatingly detailed in a new Vanity Fair piece, is far more complex than some borrowed ideas. Samsung is not only shown to have stolen Apple products, but blatantly lied about it—and worse. The culture at the South Korean company reportedly encouraged employees to go to extreme lengths in an effort to hide or destroy incriminating evidence. Vanity Fair sets the tone for the entire piece by detailing a single confrontation between Apple execs and associate general counsel for intellectual property, Chip Lutton, and Samsung, including Samsung vice president, Dr. Seungho Ahn. People who attending that meeting say Apple showed off a PowerPoint presentation detailing how Samsung's Galaxy S was infringing on Apple Patents, and that's when things got ugly. When Lutton accused the Galaxy of copying the iPhone, Samsung executives were incredulous, and offended. "How dare you say that," Ahn said. According to various court records and people who have worked with Samsung, ignoring competitors' patents is not uncommon for the Korean company, Vanity Fair's piece claims. And once it's caught it launches into the same sort of tactics used in the Apple case: countersue, delay, lose, delay, appeal, and then, when defeat is approaching, settle. The Vanity Fair piece is long, but well worth your time. 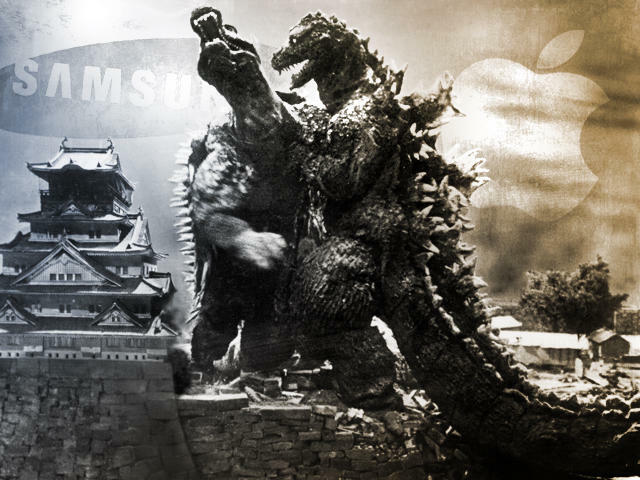 It goes into the history of Samsung, how it responded to Apple's iPhone—Samsung executives compared its own phones to the iPhone as "Heaven and Earth"—and how Apple even offered a Samsung a licensing deal before all of this blew up. Jobs wanted to be aggressive, Vanity Fair says, while Cook was more methodical, and cautioned that attacking Samsung too much might compromise its relationship for parts. And that evidence Samsung was so eager to destroy? It happened in 2011, when investigators visited a Samsung facility in Suwon. This was unrelated to the iPhone itself, but Samsung apparently colluded with wireless companies to fix prices of mobile devices. And when investigators showed up, Samsung displayed petulant behavior with stalling tactics, giving the company just enough time to destroy documents, switch computers and more. It did everything it could so it wouldn't get caught, though all of the actions by Samsung's employees were caught on internal security cameras. "One of the Samsung employees there had even swallowed documents before the investigators were allowed in," according to reports out of South Korea at the time. If you're open minded to learning about Samsung's darker side, check out Vanity Fair's piece for a pretty damning report on the company's tactics throughout this whole patent ordeal, and even before it ever competed with Apple. Despite being awarded nearly $120 million last week, Apple likely came out the loser in the end. It spent hundreds of millions defending its property in court, all the while Samsung was able to introduce new products—Galaxy S III, S4 and S5 among them—eventually propelling itself to the top spot in terms of mobile marketshare. Sam Baxter, a patent lawyer who once represented Samsung in a case long ago, had this to say about the Korean company's ethics: "They couldn't tell the truth if their lives depended on it."